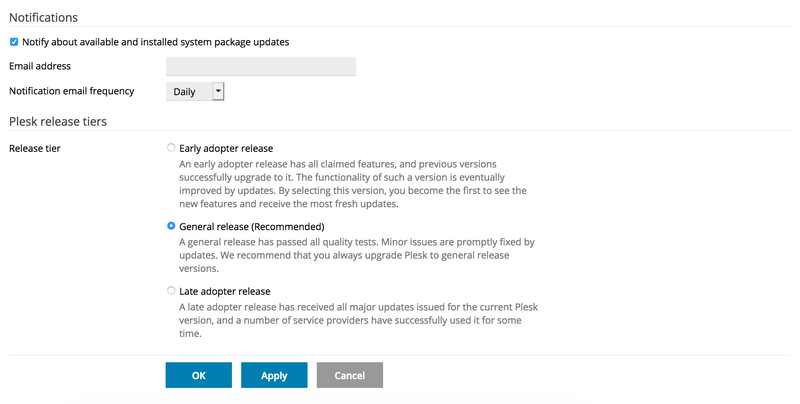 Instead of manually updating Plesk with each release, you can have Plesk updated automatically. This article will walk you through these easy steps. 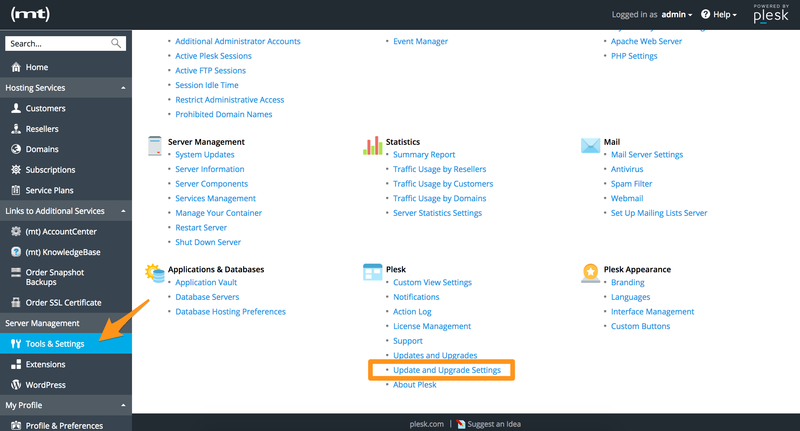 If you wish to learn how to manually upgrade Plesk, please see How do I upgrade Plesk? for instructions. Then click on Updates and Upgrade Settings. On the next screen, you can customize the options for your updates. Below is the default update options as of Plesk Onyx 17.8.11. Once you've decided on your update settings, click on Apply. That's it! You'll receive an email from Autoinstaller, root@your-primary-domain.com, whenever an update has been installed.